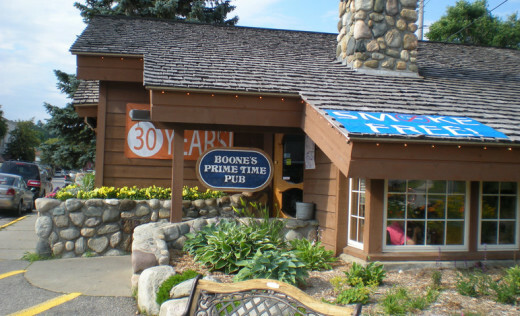 Boone’s Prime Time Pub is a Suttons Bay restaurant featuring seafood, steaks and burgers in a cozy cabin with a fireplace and a lively, friendly waitstaff. Facebook is here. Menu is here.